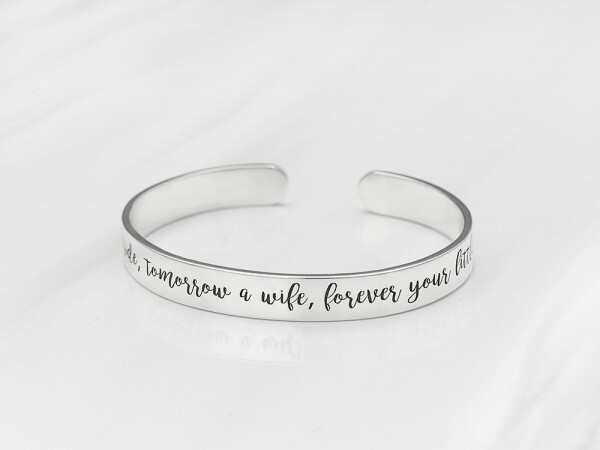 A personalized message bracelets customized with your very own message or a beautiful quote such as "love you to the moon and back" or "thanks for raising the man of my dreams" is a novel way to send someone your love. You can choose between sterling silver or 18K yellow or rose gold plated silver. These bracelets are wonderful gifts for anyone in the family, moms, daughters, mother of the bride or groom or your in-laws.